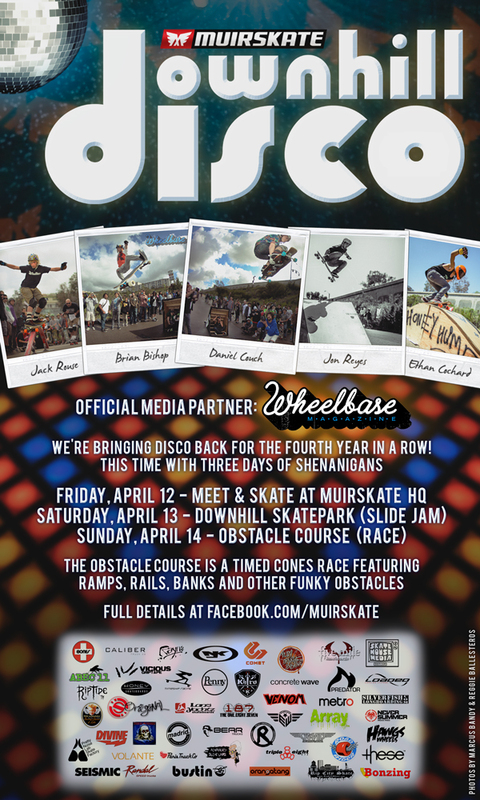 This weekend, we played host to the 2013 Downhill Disco, our most popular event of all time. Hundreds of skaters of all ages came out to shred the hill and poke the stoke. We're seeing videos and pictures going up all over the place, with plenty more to come. Have you seen Wheelbase Mag's photo article? That's right. Keep your eyes on the intertubes, because we've got a feeling there's a lot more media coverage coming. On Sunday, we held our classic Cones Course Race, through slaloms and over the freeride ramps. TimeShip Racing brought out their laser-accurate timing system, which proved priceless for capturing the crazy speed. Here are the official results of the 2013 Downhill Disco Cones Course Race. 3 riders beat the TimeShip Teams times and won a set of gloves! And as always, a huge thank you to all of our sponsors. Now go out there and skate!! !